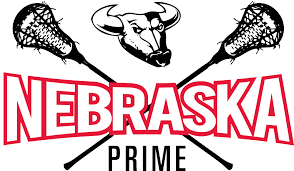 In January of 2017, Nebraska Premier Lacrosse acquired the Nebraska Prime Travel program from Omaha Lacrosse Club (OLC). The goal of this was for OLC to focus on growing the game at the recreational level for the Spring and Fall Seasons and for NPL to conduct all of the lacrosse training, leagues and travel programs outside of those regular seasons. NPL and OLC continue to work and communicate closely with each other to ensure they are aligned properly to grow the sport in the right direction. The Summer 2018 season was the first that was fully run under Nebraska Premier Lacrosse and it was a success. Four core teams were established (U12, U14, HS 2020/21 & HS 2019/20). Throughout the year NPL continued to show growth by adding 2 more teams at the U10 and U12 level that planned to play in 1 tournament. For more on Current Travel Team information, check out the Documents section.